Cool Valley Mayor Viola Murphy stands near a grassy path near South Florissant Road. She says a new state law limiting traffic fine revenue will make it harder for her city to pay for new sidewalks. Viola Murphy can’t afford a new sidewalk for her town. For now, she’ll have to settle for a grassy path created with the imprints of pedestrians. Murphy is the mayor of Cool Valley, a 1,200-person north St. Louis County municipality that borders Ferguson and Normandy. She was able to get a federal grant to create a sidewalk along one side of South Florissant Road. But because of a new state law that caps traffic fine revenue, her city can’t afford the match for the other side. That may not seem like a big deal. But as we drive through her city, people trudge on the shoulder of the road carrying large grocery bags. Murphy says this situation isn’t safe – especially since the walkers are facing away from traffic coming onto South Florissant Road from Interstate 70. Cool Valley Mayor Viola Murphy and Normandy Mayor Patrick Green speak with St. Louis Public Radio's Jason Rosenbaum about their lawsuit against a new municipal governance overhaul. Murphy is one of a dozen municipal leaders fighting a wide-ranging overhaul of municipal governance. She and other city leaders emphasize that the issue isn’t the lost revenue – but fairness. They think it’s unconstitutional and unfair for St. Louis County cities to have harsher traffic fine restrictions than the rest of the state. This fight was the subject of a story today on NPR’s Morning Edition. 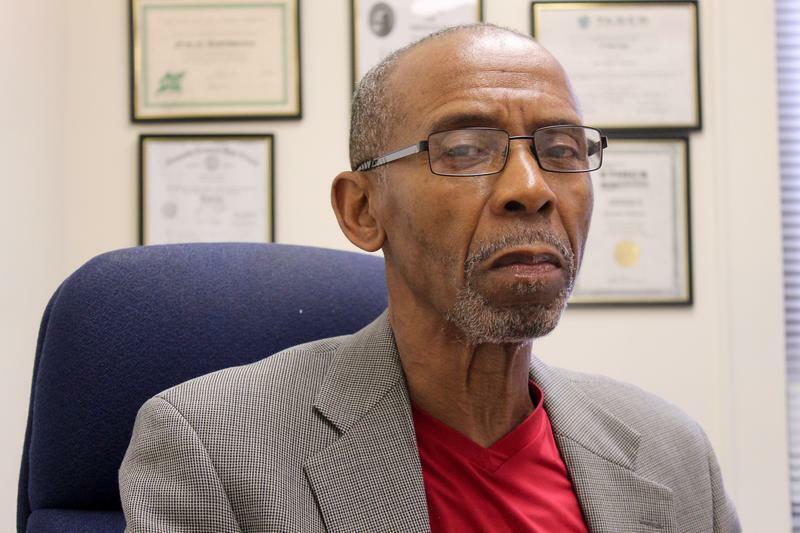 And it’s more than just a story about a legal challenge – it’s about how African-American-led cities fit into the St. Louis region and how they’ve clashed with advocates of municipal consolidation. When a group called Better Together formed to examine the possibility of a city-county merger, some of the loudest critics were leaders of small cities in north St. Louis County. Then-Greendale Alderman Alex Herman and then-Greendale Mayor Monica Huddleston in 2014. And while Better Together's leaders felt the region's multitude of municipalities were redundant and unnecessary, many felt the discussion was an attack on small government – and on African-American political power. After the shooting death of Michael Brown, national publications like the Washington Post turned their attention to municipal courts in north St. Louis County. Arch City Defenders' Thomas Harvey has been an outspoken critic of the municipal court system in St. Louis County. That prompted some state policymakers to declare their support at looking at the percentage of traffic fine revenue cities could incorporate into their budgets. Right before the 2015 legislative session began, Sen. Eric Schmitt, R-Glendale, introduced a bill that lowered the percentage of traffic fine revenue cities could keep from 30 percent to 10 percent. 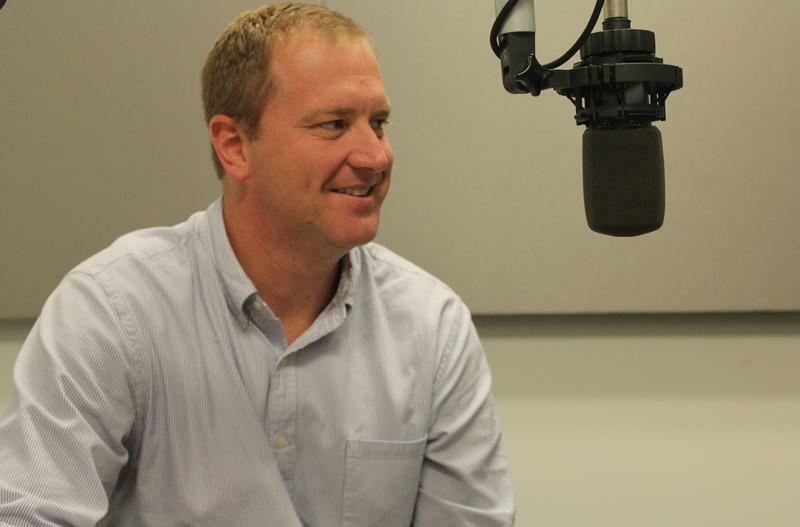 “A lot of municipal courts are being used as revenue generation,” he said during an episode of the Politically Speaking podcast. Schmitt’s bill resumed talk of municipal consolidation in St. Louis County, which alarmed African-American mayors. During the legislative process, Schmitt’s bill made it significantly easier for cities to potentially disincorporate if they ran afoul of the state’s traffic fine caps. If Ferguson becomes 'island of justice,' will it still be in a 'sea of injustice'? 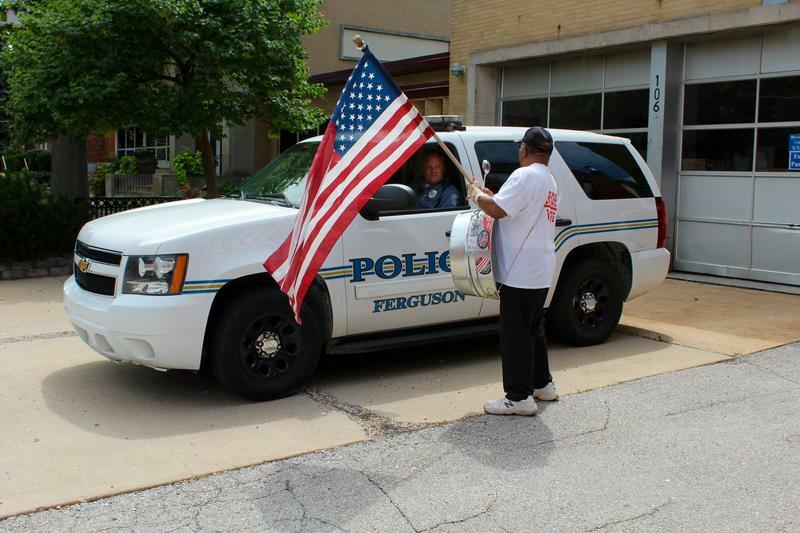 When the Department of Justice issued a scathing report of Ferguson Police Department, some openly wondered if any federal action would make much difference without going after other law enforcement agencies. After all, cities like Wellston and Pine Lawn had well-publicized problems with governance and policing. Northwoods Mayor Everett Thomas says the municipal governance overhaul prompted his city to consider doing away with free trash pickup for its residents. Thomas' city was below the old 30 percent cap, but above the new 12.5 percent threshold. Schmitt’s bill ultimately passed, but it included different traffic revenue caps for St. Louis County and the rest of the state. County cities could only incorporate 12.5 percent of traffic fine revenue into their budgets, compared to 20 percent for the rest of the state. Even though the policy push was inspired by the Ferguson unrest, these restrictions won’t actually affect the city of Ferguson that much. Instead, it will substantially impact African-American-led towns in north St. Louis County. “If we just look at the race of people in the towns it affects more, I think we can certainly make a case for discrimination just based on who was carved out of this,” said state Rep. Deb Lavender, D-Kirkwood, who voted against Schmitt’s bill. Schmitt came back on the Politically Speaking podcast to break down the different aspects of his municipal governance overhaul -- including the caps on traffic fine revenue. He also responded to criticism that the bill would hurt African-American-led cities. Earlier this summer, Murphy and Normandy Mayor Patrick Green expounded upon their opposition to the traffic fine revenue caps on an edition of the Politically Speaking podcast. “Does that taint all 25 or 30? No,” he said. A couple months after Gov. Jay Nixon signed Schmitt's bill into law, a dozen predominantly black municipalities filed a lawsuit against the measure. Among other things, the suit took aim at the dual traffic revenue standard. “They’re the ones who are targeted,” said David Pittinsky, an attorney who helped file the case on behalf of the cities. “And I feel very strongly that they should be represented -- and represented as effectively as possible in this fight to have this bill declared unconstitutional. Again, I point out to you that had the General Assembly passed a bill that applied to all 114 counties and had them all at 20 percent and had provided all the funding for all the new responsibilities, I probably wouldn’t be here." After a series of articles about municipal ordinance violations in Pagedale, Schmitt proposed expanding the new law to restrict cities’ ability to take in non-traffic revenue fines. Schmitt said it was “unconscionable cities would use fine money — whether from traffic tickets or silly violations like the location of one’s barbecue grill or the way their blinds are hanging — to prop up bloated bureaucracies.” But municipal leaders like Murphy contended her citizens want cities to spruce up unsightly properties. Meanwhile in St. Louis County, St. Louis County Executive Steve Stenger shuttled legislation through the county council that required municipal police departments to adhere to training, hiring and operational standards. Green and Murphy talk about the recently-passed police standards bill in St. Louis County. Despite lawsuit threats from small and large municipalities, the legislation passed the county council and is currently being litigated in court. Stenger, though, says it was the right thing to do. A Republican lawmaker is taking another look at how municipalities govern themselves around the state — and especially in St. Louis County. Sen. Eric Schmitt, R-Glendale, handled legislation passed in the spring that reduced the percentage of traffic fine revenue cities could have in their budgets. But the legislation did not restrict non-traffic revenue, such as fines for not keeping up a property. (The St. Louis Post-Dispatch pointed that out earlier this year). 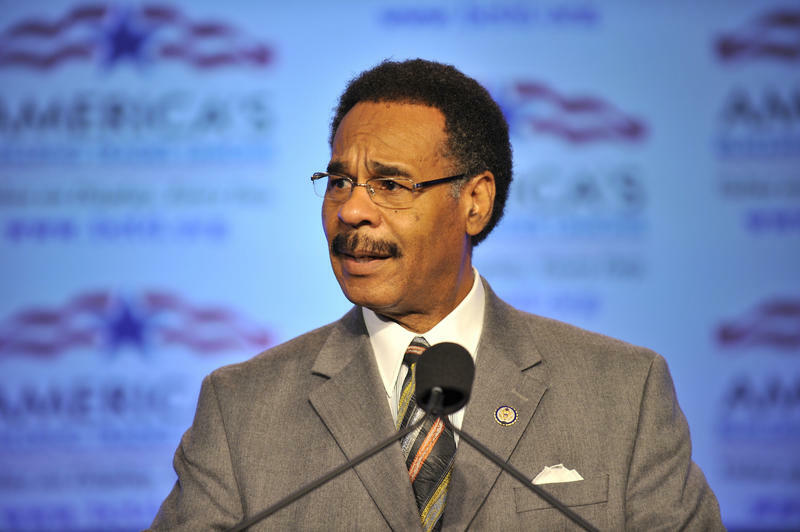 Back when he was living near Dallas, Texas, as a child, U.S. Rep. Emanuel Cleaver and his family used to pile into his father’s Oldsmobile and, in their drives, they'd often go through a town called Saginaw. The Kansas City Democrat recalls that when his father crossed over that city’s border, his mother would urge him to slow the car down – even though he wasn’t driving particularly fast. If you’ve developed an interest in legislation inspired by the unrest in Ferguson, then you’ve probably seen some strong adjectives attached to a law known as Senate Bill 5. Sen. Eric Schmitt’s legislation has been described as “sweeping,” “multi-faceted,” “massive,” “broad” and "significant.” It lowers the percentage of traffic fine revenue cities can keep; prompts St. Louis County cities to adhere to certain standards; and provides new guidelines for how municipal courts should operate. Even though Missouri’s primary elections are a year away, some contests for St. Louis area state legislative seats are beginning to take shape. 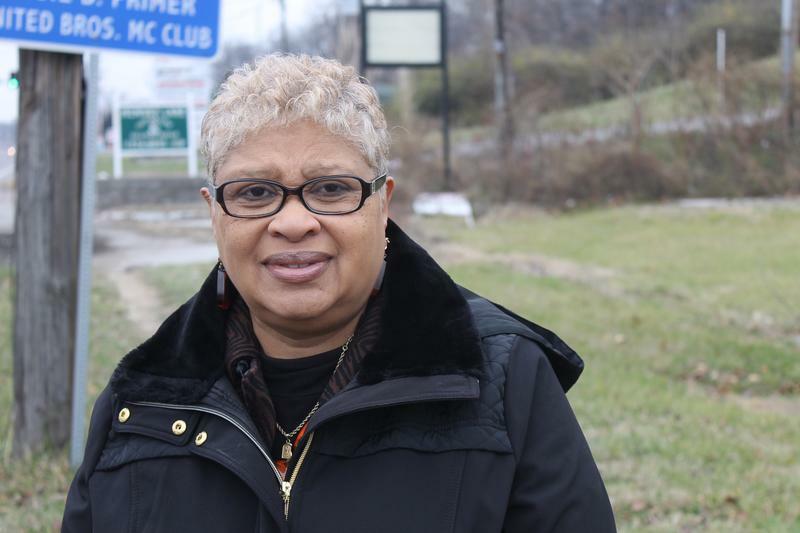 St. Louis Alderman Donna Baringer announced Wednesday morning that she will run for the 82nd District House seat, which encompasses most of southwest St. Louis. And Wednesday night, Republican Rick Stream of Kirkwood — who narrowly lost a bid for St. Louis County executive last fall — officially kicked off his campaign for the 15th District state Senate seat.